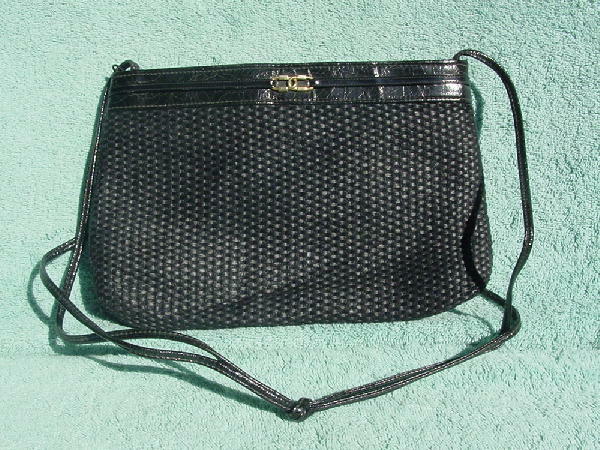 This vintage black purse is by Mary Ann Rosenfeld. 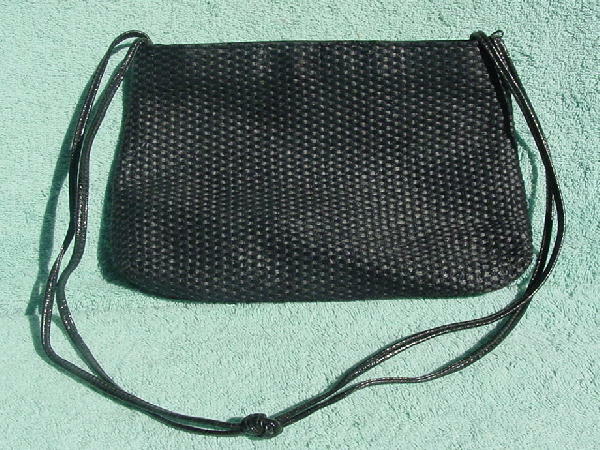 It has a thin double 32" long shoulder strap which is knotted in the center. There is a top side to side zipper and a black plastic lining with a zippered interior pocket with her name in gold-tone letters below the zipper. The body of the front and back are in a black woven twine-thread. The top of the front has a 1 1/8" wide black faux leather strip with two oval link accents. It's from a former New York model.